Science fiction meets karma! 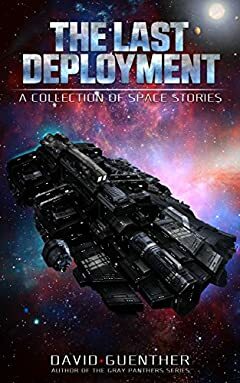 A unique compilation of five mixed short stories. The stories are a medley of humor, military science fiction, space opera, and fantasy. Last Deployment, Space marines go for an extended sleep in their stasis chambers. When they are revived there is a new world waiting for them. Immortal, A man accepts a contract from aliens for immortality. Heroes, The military unable to raise an army, clones a highly decorated hero with unintended consequences. Dreamer, A cadet needs to grow up fast when she has to fight for her life when her ship is boarded. Soar, Refugees trying to escape religious persecution end up sharing an escape pod with their sectarian oppressors.